Choosing blinds for your bathroom can be a minefield, with the humid conditions seemingly limiting your material choices drastically. 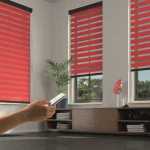 However, if you have the right information you’ll find there are plenty of blinds that are well suited to the conditions. 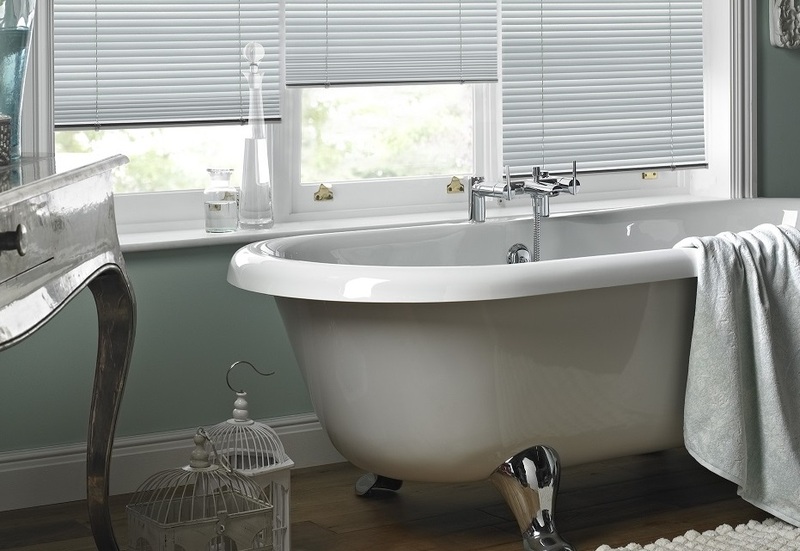 At Denton Blinds, we’ve used our years of industry knowledge to compile some top tips for choosing bathroom blinds. Whilst the majority of bathroom windows are made from frosted glass to uphold some modesty, who really feels protected from prying eyes by the small amount of distortion they produce? 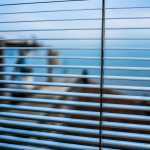 If your window is overlooked, choose a blind that is going to offer you a bit more privacy, such as a Venetian blind, which has adjustable slats to completely block your bathroom from sight when required. Bathrooms get humid and steamy several times a day, and when this steam settles on a surface, it makes the surface damp. This can make heavy fabrics grow mildew and mould, which is not only unsightly, but also unhygienic. 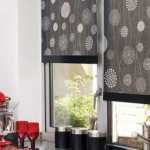 Instead, opt for a PVC or light cotton blind to ensure that your blind stays in good condition for as long as possible. Roller blinds are available in wide range of suitable materials for use in the bathroom, and their sleek design prevents them from being waterlogged. If you like the look of wooden blinds, opt for a faux wood for use in the bathroom. The wet and hot conditions can cause natural wood to warp, which can interfere with how the blind functions. Faux wood blinds hold all of the aesthetic appeal of real wood blinds, but are less susceptible to warping. The bathroom is home to many of our delicate daily care tasks, such as applying makeup and shaving. To ensure these tasks are carried out with the amount of attention they need, choose a blind that can offer you full light control in order to counteract the artificial appearance that overhead lighting produces. If your window is in very close proximity to a water source – over the sink, perhaps – then the bottom of your blind may be subjected to excessive water contact from splash back. To avoid this damaging your blind, opt for something that can be retracted upwards and out of the way, such as a pleated blind or a Roman blind. For a comprehensive service and superior quality in blinds, look no further than Denton Blinds. We have an extensive range of blinds to suit any requirement, and our specialised staff will always be on hand to offer you assistance. Whether you’re a domestic or commercial client, we can help. Contact us here for more information, and we’ll be happy to discuss your options with you. Should I choose blinds, curtains or both?